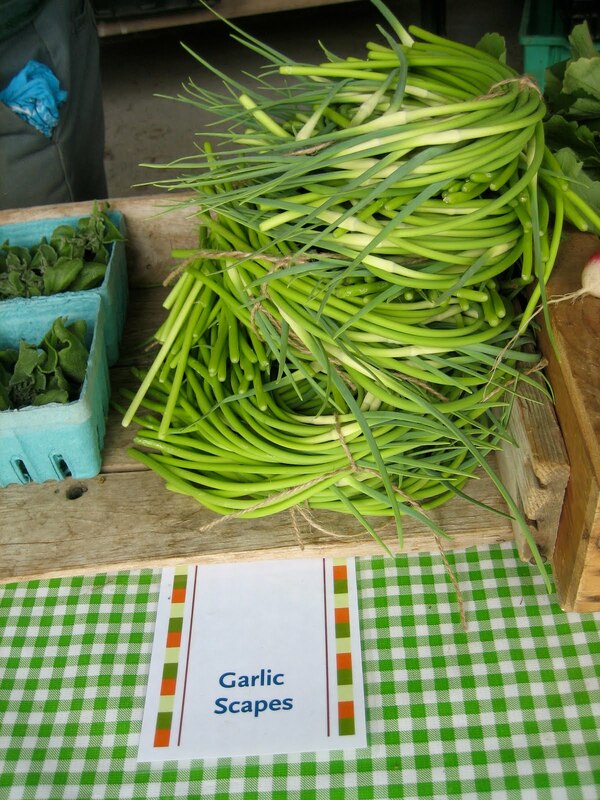 Garlic Scapes (1/2 pound), which you can get at your local farmers' market if you are not growing your own garlic. Salt and pepper: These ladies know what I'm talking about...very necessary. We were just getting our feet wet, so we only used about 1/2 pound of garlic scapes. You can scale the ingredients based on how much garlic scape pesto you want to make. 1. 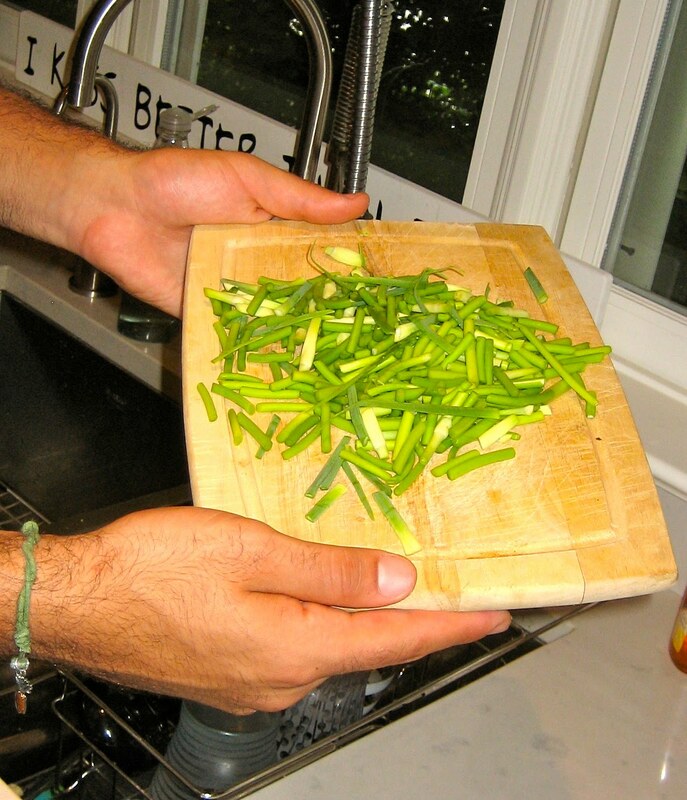 Chop the scapes into small pieces, about 1 to 3 inches and put in food processor or blender on low. Some people like to cut off the thinner, darker, harder end which does not hold as much flavor. 2. Break the walnuts or pine nuts into tiny pieces. Toast for a few minutes if you'd like, just remember to keep an eye on them as they can burn quickly. oh wait...I would just like to take this opportunity to point out that when you see smoke pouring out of the toaster and the entire room smells like burned popcorn, this is a good time to simply point directly at the problem and wait for someone else to come by and turn it off. Below you can see Matt's flawless technique; a real artist at work. 3. Add 1/4 cup of walnuts and turn on low. 4. Keeping the blender on, slowly pour in the 1/2 cup of olive oil and continue to blend. 5. Add 1/2 cup of Parmesan cheese or more. 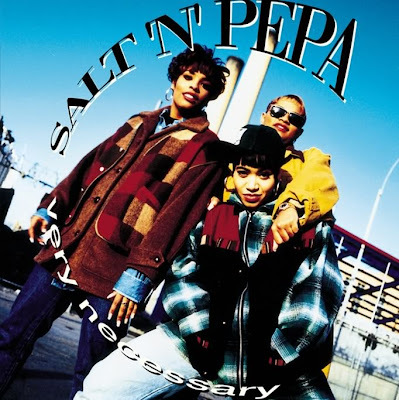 Also, add salt 'n' pepa to taste and blend until you find the texture you like. For dips and sandwich spreads, it's better to leave it a little thicker, but for pastas you may want to add some additional olive oil, making it more of a sauce. Either way, once blended, pack in an air tight container and refrigerate. You can also pop it in the freezer where it will stay fresh for months. Crushed red pepper adds a bit of spice. Put all dry ingredients in a blender or food processor and slowly add in the olive oil until preferred texture is achieved. 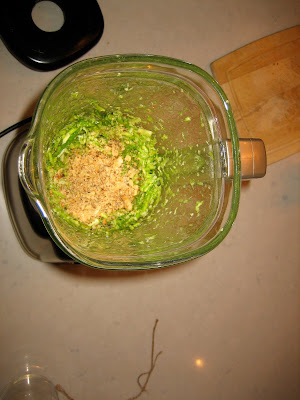 Do not blend on a high setting and do not blend for too long or you will lose some flavor. 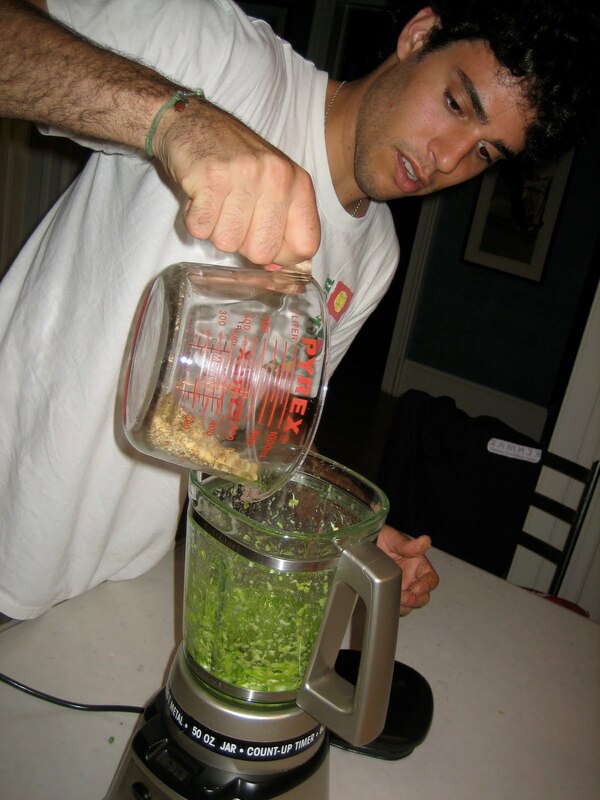 Also avoid exposing the pesto to too much air as this create a bitter taste. Enjoy and as always, please share in our comments section if you have any ideas of your own.